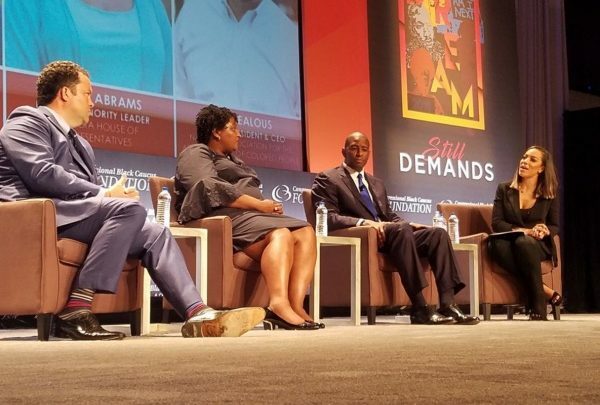 In the wake of a historic primary election season which resulted in three Black gubernatorial nominees on this November’s ballots, all of them appeared onstage together Thursday at the Congressional Black Caucus Foundation’s Annual Legislative Conference. 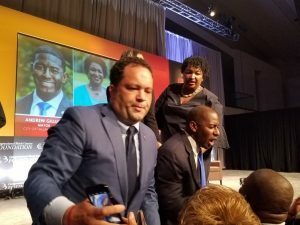 Ben Jealous, Stacey Abrams and Andrew Gillum participated in a panel discussion, “The Politics of the New South: History in the Making,” during which they spoke of their hotly contested races in Maryland, Georgia and Florida, respectively. In front of hundreds of loyal supporters filling a spacious ballroom at the Walter E. Washington Convention Center in northwest D.C., all three hammered home a simple message. Currently, the country has no Black governors, and only two have ever been elected in U.S. history. However, the three Democratic candidates at the CBC conference tout similar agendas of universal health care, criminal justice reform and support for public education. Each talked about criticisms from the political establishment in trying to run conventional campaigns. Abrams, a former minority leader in the Georgia House of Representatives, said in a pro-gun state like hers, she supports gun safety and how she learned to fire a shotgun from her grandmother. 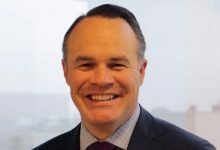 The unprecedented diversity of Democratic gubernatorial nominees this election cycle hasn’t gone unnoticed, with political scientist Todd Eberly of St. Mary’s College warning that such results are a harbinger for the GOP. Angela Rye, a CNN political commentator and former executive director and general counsel for the CBC who moderated the forum, said it more succinctly. “Just know the significance of this moment that we have three [onstage] at the same damn time,” she said. According to recent polls, Jealous has the biggest challenge ahead, with Hogan holding a double-digit advantage and $9 million in his war chest. 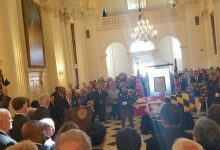 Jealous and the Maryland Democratic Party are pushing an initiative to drive one million voters to the polls on Nov. 6 in a state where Democrats outnumber Republicans 2 to 1. A Sept. 6 poll from the Atlanta Journal-Constitution and WSB-TV show Abrams and Republican Brian Kemp deadlocked for the governor’s seat in Georgia. Gillum, the mayor of Tallahassee, Florida, remains ahead by four percentage points of his Republican challenger, Rep. Ron DeSantis, according to a poll released Wednesday by the Florida Chamber of Commerce. However, Gillum told the hundreds in attendance Thursday not to believe the polls.